I hope that like me you have been having such a lovely Christmas, full of friends and people who love you, so that you’ve been unable to spend much time online. If not, I wish you peace, my friend, and a better year ahead. Lord knows that 2013 was awful in so many ways, and I am ready for a new year. It’s just past midnight here and my friends in Europe are about to wake up to Boxing Day, and I find myself wishing we celebrated that here. I never took “Happy Holidays” as something politically correct, or a phrase for trying to usurp Christmas. Instead, and maybe it’s the way I was raised, I just figured it was a way to include the entirety of the season, from Hanukkah and Christmas to New Years, and even on to Epiphany on the sixth of January. Early on my mother and I, though protestant, decided to celebrate it so we could leave the decorations up longer. Of course that was before the corporate world spread Christmas back to before Thanksgiving and started stringing up lights immediately after Halloween! But for tonight we’ll forget about the marketing mad men and be a bit old-fashioned. Why not one more Christmas song-Poetry Mash-up. We’ve still got plenty of Christmas–holidays left! As for the Happy Holiday-Merry Christmas-made-up controversy, I wish people would just happily receive the greetings they do, grateful that someone wishes them peace and happiness. Really, there’s no reason to be a jerk if someone doesn’t use your chosen phrase during the season. It’s a lesson that I have been trying to learn all my life, not about Merry Christmas, about kindness. I mentioned on my Facebook status tonight that on my employment part of my profile it says that I work at “Being a Kind Person.” Never has someone failed so often at a job and kept it. Below is a video of a song from Spongebob Squarepants that my boys and I have been singing each season the last few years. It’s needed. And then for contrast the same subject is covered in a more serious manner from poet Naomi Shihab Nye in her piece, “Kindness.” It’s not a Christmas poem, but maybe it should be. I hope your Holidays have been both happy and filled with kindness. May be we all learn to be better practitioners of that vital art. Aw, thank you too, Suzie. I’ve enjoyed it. 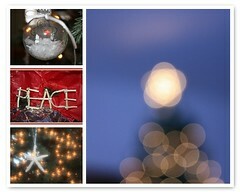 Peace and joy to you and yours! A very cute song….best wishes for the new year! And to you also, Charles! A very sweet post and beautiful poem. Thanks much, David. Have a wonderful upcoming year! K.
Thank you! You too, dear. Not a Christmas poem in the traditional sense … but, very much in the spirit of the holiday (kindness, peace, goodwill). Like the song to … hadn’t heard it before! My boys introduced me to the song a couple of years ago. And I do love the poem, as well as the poet. Nye is wonderful. What a gorgeous NSN poem! I hadn’t been acquainted with this one, and I thank you for introducing me to it. May your 2014 be blessed: a full landscape of kindness for you and yours. And yours too! I had written a great year end/year beginning post last night, but for the first time ever WordPress did not save as it went. Instead it totally deleted my whole post. Gone. Ugh. So tired and not entirely well, but getting there. Will get back to it. I’m not just expecting good things this year, I plan on orchestrating them. 😉 My best to you and yours as well, Jennifer. It always brightens my day when you drop by!